The Obama administration emphasized charter schools as a reform strategy; early indications from the Trump administration signal a wholesale drive toward expanded “choice” options. Secretary of Education Betsy DeVos is now the highest-profile advocate for school choice, arguing alongside other proponents for liberalized regulation and financing for the expansion of charter schools. In their estimation, when parents are empowered to choose the school that best meets their children’s needs, schools are compelled to compete for students, and this marketplace delivers education efficiently and effectively to the public. Our recent research looks closely at the financing that enabled the expansion of the UNO Charter School Network (UCSN) in Chicago as one example of the increasing distance between the original promise of charter schools as a democratic movement for parent and student control over education and the emerging political economy of education that interprets that ideal through market thinking and institutions. 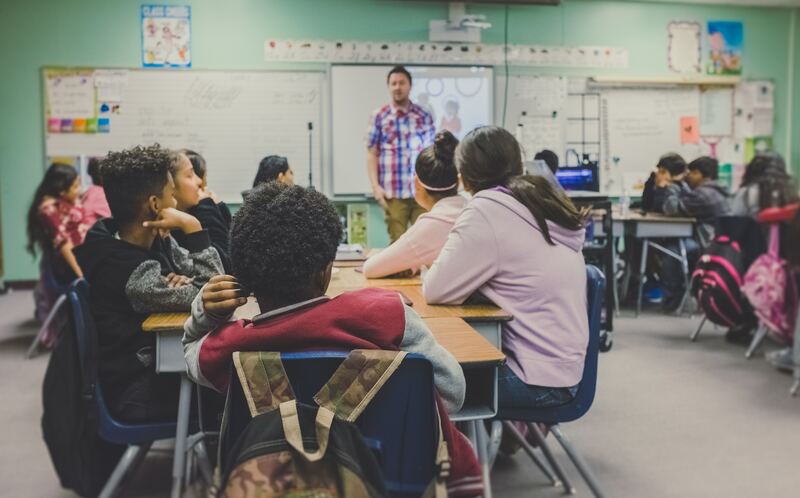 While many have questioned the purported efficiency and effectiveness of marketized educational systems, the UCSN expansion challenges the underlying assumption that the growth of the charter school sector should be understood as a simple reflection of parent demand. In practice, the growth of the charter school sector is also shaped (1) by highly politicized processes of administrative review and (2) by the availability and structure of capital financing. Neither of these processes is directly accountable to parents and their choices. In our paper, we focus on the latter of these two. That is, we consider how capital financing constrains and enables charter school growth and the implications of the structure of this financing for the students and communities that charter schools serve. Specifically, we describe the rapid growth of UCSN in Chicago during the 2000s through an analysis of the borrowing (debt financing) that enabled its expansion. Between 1998 and 2013, UCSN grew from a single school with fewer than 500 students to 15 schools with over 4,000 students. We find that UCSN was able to finance this growth through increasingly speculative borrowing that ballooned the Network’s total debt from $1.5 million in 2000 to over $71 million in 2011, tripling its per-pupil annual debt payments. In other words, to pay for new schools, UCSN borrowed in increasingly speculative ways that leveraged their existing schools as collateral through models that assumed the continued growth of the Network. This meant that the schools within the Network were roped together financially, and underperformance at one school could put other schools at risk and create a strain on the financial viability of the Network itself. On the one hand, this is not remarkable. Private businesses routinely borrow against anticipated growth in future revenue streams. On the other hand, however, charter schools are publicly funded organizations, tasked with the responsibility of educating students. And the financial risk a charter operator takes on is shared by the students enrolled in its schools: school closure disrupts students, families, and communities. 1) Charter school growth that is financed in ways that depend on the continued growth of that school or a network of schools is no longer accountable to parents through simple models of consumer choice. When a network must grow to survive and individual schools cannot be closed without imperiling a larger network, then other logics have come into play. 2) If charter school growth is contingent on being able to leverage existing real estate assets and enrollment revenues, small independent schools may have difficulty competing with large charter operators. This upends the motivating principle of free-market competition that is often cited in support of the charter model. Is it a “market of choice” if some schools are able to grow by virtue of their asset base and are difficult to close by virtue of their financing structure? 3) Debt-financed charter school expansion creates a role for private capital in assessing the (financial) viability of individual schools. In theory, underwriting processes capture the risk of failure. In practice, the families and communities who enroll in charter schools share the risk of speculative expansion. These expansionary dynamics, based on expectations about continued future growth in a context of traditional public school closures, overlay the existing uneven and unequal system of public education in Chicago. The simultaneous expansion of charter schools and closure of traditional public schools—however justified by measures of enrollment in growing immigrant and shrinking black neighborhoods—reinforces broader market-driven dynamics that increase vulnerability and instability in communities. The speculative finance that underwrites charter school expansion and opens this landscape to investors does not meet all existing educational need everywhere it exists but operates opportunistically. Our research raises questions that resonate beyond the case. The dynamics of the UNO charter network expansion—the growing institutional and financial power of charter schools and their backers—are relevant as charter schools, school choice, and school reform more broadly seem ascendant across other cities and states. What are the implications of school choice policies: will they enhance local control and the wisdom of giving parents the latitude to decide what is best for their children? Or does this vision of education betray a fundamental shortcoming: by placing the responsibility for educating children on parents, it frees broader society from concern about the outcome. When the state divests itself of regulatory accountability and cedes to the market—to individual parents and to capital investors—decisions about school expansion and closure, those most vulnerable and on the margins will pay the price. Benjamin F. Teresa is an assistant professor at the L. Douglas Wilder School of Government and Public Affairs at Virginia Commonwealth University. Ryan M. Good is an assistant professor of applied social sciences and assistant director of the Washington Community Scholars Center at Eastern Mennonite University.